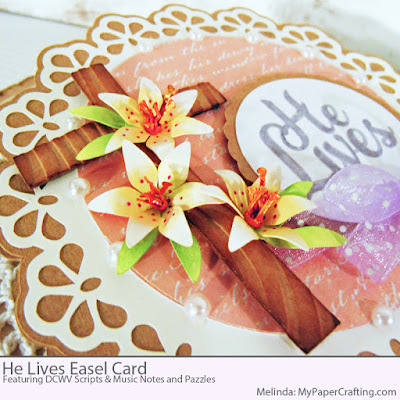 Hello crafty friends, A few days ago I shared a card I created for the Pazzles Craft Room. I was tasked with creating a project for Easter. 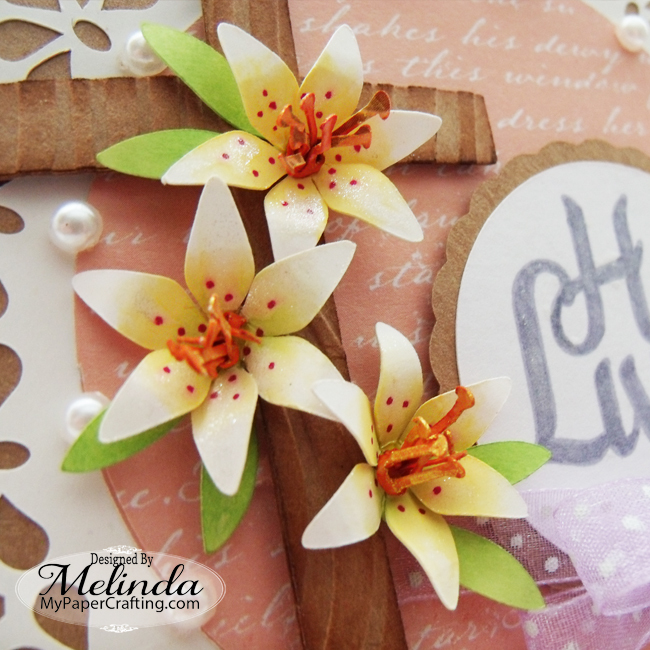 I decided to create this pretty easel card. I started by using my software to create the various elements including the card base. I cut the base out of some Kraft cardstock. I then turned to my DCWV Scripts and Music Notes Stack for the soft pink printed layers. I then went to work on creating my lilies. I cut these out of some white cardstock and then used some yellow and green ink to dab just a bit of color in the centers of them. I then used a Copic Marker to color the stamen as I had cut them out of the same white cardstock. I also used a fine tip Sharpie for the little dots. I also used some green ink to sponge onto the leaves. For the cross, I didn’t have any chipboard on hand, so I cut three crosses out of the same Kraft cardstock as the base of the card. I glued them together to make the cross sturdier. I then dry embossed it to give it that wood grain type look. 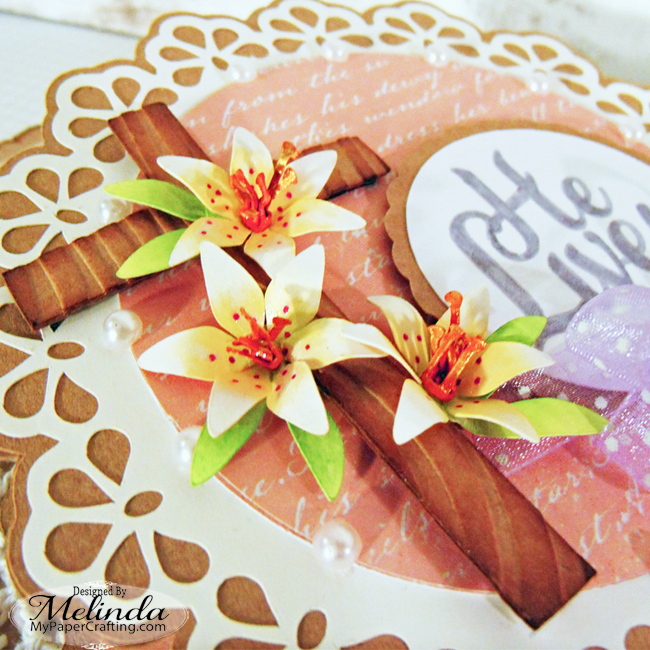 I used one of my embossing folders for this. 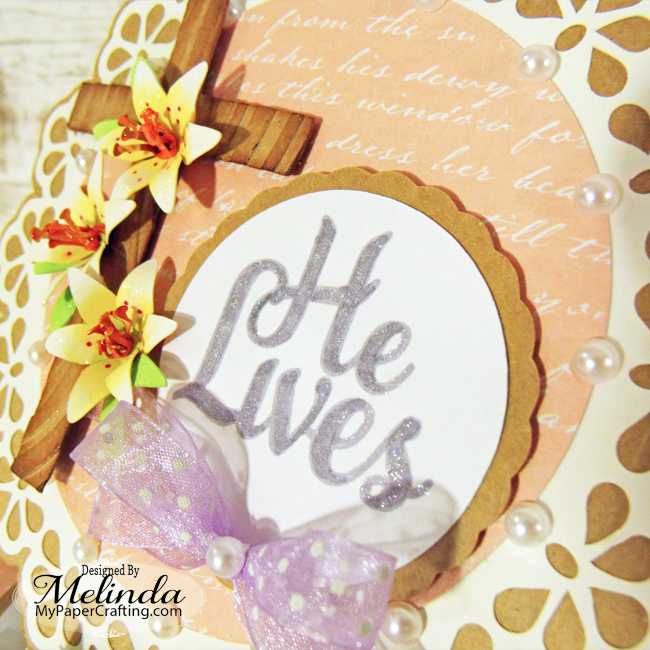 I used some brown ink to ink the edges and to make the embossing pop. I then turned back to my Pazzles to create my sentiment. I welded the sentiment together and it created an “outline” I used a fine tip sharpie to draw the outline with my machine. I then cut it out. I used the same sharpie to color in the lettering and then covered it with my Spectrum Noir Glitter Markers for a little extra flair. I also used the Glitter Marker for the lilies. I decided to make the card an easel card. I did this by scoring the top half of the card base across horizontally and then using another top base for the top of the card. 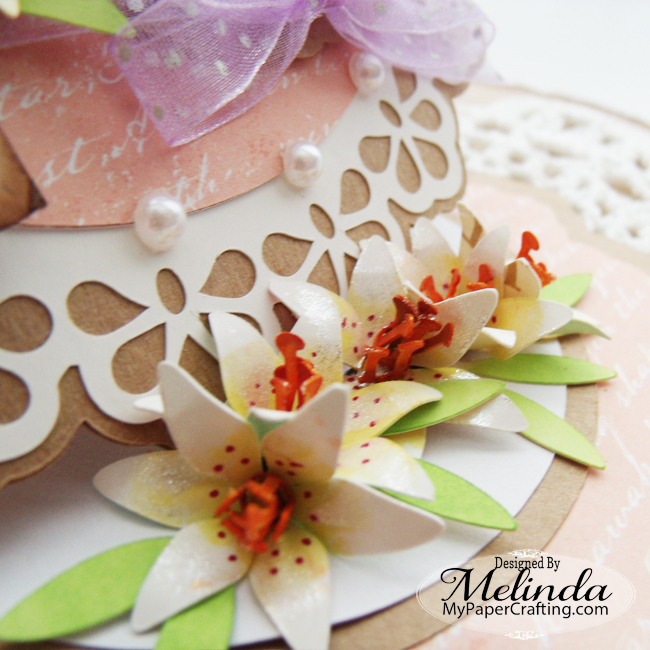 I finished off the card with some pearl embellishments and a bow. I really enjoyed creating this card and my Pazzles once again, helped make my idea come to life! 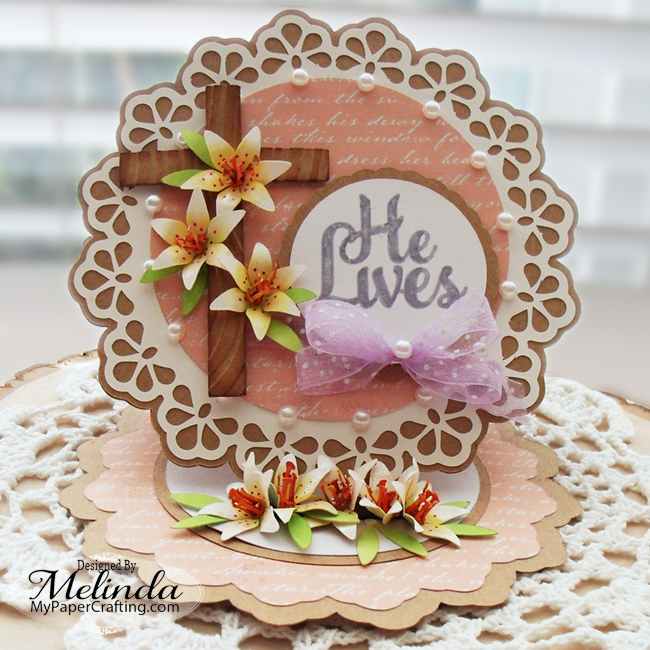 Wow...such a stunning Easter card!